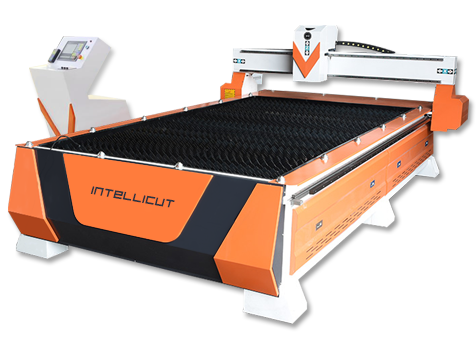 Introducing our new IntelliCut Excel CNC plasma cutters. Combining high cutting performance with superior quality you can trust. Expect nothing but the best features, build quality and value for your money. If you want to dramatically reduce your time to produce and increase production whilst getting great value for your money and performance, then an IntelliCut Excel Series CNC plasma table is for you. Our Excel Series range combines the world leading Hypertherm power sources, computer controls and software. Controls: Starfire Controller / Hypertherm Edge Connect. Motors: Servo Motors as standard. Power: 220V single-phase; 210V 3-phase. Bed Size (Working Area): 1500 x 3000mm – 2000 x 4000mm. Drive System: High density rack. Motion System: Rack & Pinion transmission. Precision linear guide rails X, Y & Z axes. More than 80mm plate carrying capacity. Environmentally friendly – Low Carbon footprint.